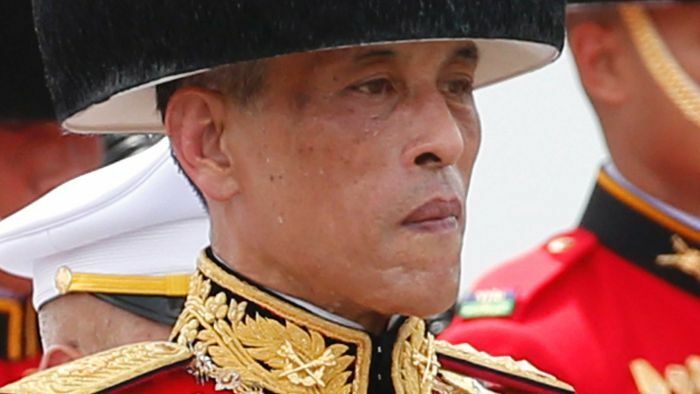 A Thai political party has sworn loyalty to the king a day after its stunning decision to nominate the monarch’s sister as its candidate for prime minister backfired, when the king called the move “inappropriate” and unconstitutional. The statement of fealty comes as the country ponders a Friday whirlwind in which Princess Ubolratana Mahidol, 67, broke with tradition to become a candidate for the Thai Raksa Chart Party. Her announcement to run with a populist party loyal to ousted ex-premier Thaksin Shinawatra shocked the nation and would have pitted her against the junta leader and current Prime Minister Prayuth Chan-ocha, the preferred choice for premier of the pro-royalist military, ahead of March 24 election. He said it was against the spirit of the constitution for royalty to be involved in politics. Thai Raksa Chart’s statement said the party loyally accepted the king’s order and expressed deep gratitude to Princess Ubolratana for her kindness toward the party. Princess Ubolratana relinquished her royal titles in 1972 when she married an American, a fellow student at the Massachusetts Institute of Technology (MIT), Peter Jensen. She lived in the United States for more than 26 years before they divorced in 1998. Thaksin was ousted by the military in a 2006 coup. Deepening political divisions that have flared into protests and street violence. Just eight years after ousting Thaksin, the military stepped in again to remove his sister’s government. He remains wildly popular with the country’s rural majority, who were drawn to his populist policies such as universal health care and rice subsidies and were willing to overlook accusations that he was enriching himself while in office. But Thaksin’s popularity made the country’s Bangkok-based establishment uneasy and some saw his popularity as a threat to the monarchy itself. Will Tibetans have a homeland of their own?